ZIMBABWE's exports have been on a steady growth path throughout the year but imports rose at a much even faster pace. In this piece, NewsDay's Mthandazo Nyoni looks at how the country has fared in the just-ended year. According to the Zimbabwe National Statistics Agency (ZimStat), Zimbabwe recorded a trade deficit of $1,978 billion between February and October 2018, up 34% compared to the same period in 2017. The country imported goods and services worth $5,189 billion — an increase of 27% against exports of $3,211 billion. In 2017, imports were $4,083 billion against exports of $2,611 billion. January 2018 trade figures are still not available, with ZimStat saying that the Zimbabwe Revenue Authority, the source of merchandise trade data, did not provide the information. The bulk of the country's exports comprise among others gold, flue-cured tobacco, ferrochrome, nickel, chrome, and diamonds while imports were made up of fuel, electricity, maize, medicines and vehicles. The largest foreign currency earners were gold ($1,030 billion), followed by tobacco ($492 million), nickel mattes ($432 million), nickel ores and concentrates ($322 million), ferro-chromium($207 million), chromium ores and concentrates ($81 million) as of October 2018. The top five import drivers in the period between February and October were ranked as diesel, which guzzled $817 million, followed by unleaded petrol ($398 million), electricity ($145 million), crude soya bean oil ($103 million) and durum wheat ($88 million). Zimbabwe's exports, according to Finance minister Mthuli Ncube, are largely uncompetitive due to cost and production inefficiencies. "In addition, our reliance on primary commodity exports means less value compared to high value processed goods. The import bill has been dominated by a wide range of imports, some of which are not critical or strategic," he said. Gift Mugano, an expert in trade and international finance, is also of the view that Zimbabwe's exports are constrained by a variety of factors, including poor competitiveness of local goods in international markets due to the strengthening of the United States dollar against regional currencies. "It is a plethora of issues: high transactional costs for imports and exports, low foreign direct investments; high cost of compliance due to over regulation and excessive penalties. There is high manufacturing base namely high costs of utilities; limited access to trade financing and export incentives; non-vibrant domestic economy; inadequate institutional and strategic support directed at trade development; inability by firms to meet standards in export markets; vulnerability to shocks associated with dependence on global markets particularly on South African economy; illegal sanctions and withdrawal of preferences in key markets. We have lack of access to information on available markets; high country risk and demand for cash upfront payment by suppliers for raw materials; and old equipment and poor firm capitalisation levels as well as policy inconsistencies," he said. Economist and financial analyst Persistence Gwanyanya contends that government needs to work hard to correct trade imbalances brought partially by the failure to contain expenditure. "There is an expectation with government that this year it's not going to be very good in terms of the trade deficit, the reason being that we are importing far more than we are generating foreign currency," Gwanyanya said. "You will find that in terms of export performance, we have done far much better. We have even exceeded our projections in the greater part of the year and also in terms of the remittances." But the problem was mainly on the import side, "meaning that our challenge is mainly on the expenditure side". "We are failing to contain our imports as a country. We have always been exceeding our target in respect to the imports which largely speaks to the import dependent nature of the country. We depend largely on imported products and even including the raw materials," he said. Gwanyanya pointed out that high imports were reflective of the de-industrialisation challenge the economy was facing, adding it was not going to be easy to contain imports within a short space of time. "We know at government level the thrust is to contain government expenditure through austerity measures, which will translate into reduction of imports. It's not a one day job. That's why even in terms of projections, we expecting to end the year at 11,7% in terms of budget deficit," he said. "We are not tracking very well in terms of the total projected out-turn for this year. This simply reflects the import dependent nature of the economy, but you may want to know that despite this, the external position has remained well-managed compared to the internal position, the external position being the trade deficit." The trend, according to analysts, would continue unless government implements its austerity measures as expounded in the 2019 national budget statement. 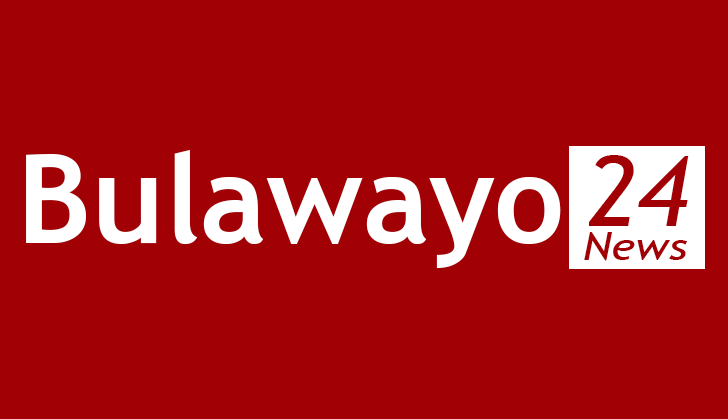 "Going into 2019, we expect the situation to be managed down, that is if only the austerity measures are going to be effective because there is a strong link between what is happening between domestically that is on the budget deficit and the final outturn on the trade deficit," Gwanyanya said. "If we manage the budget deficit very well, like we said it will go down from the current 11,7% to 5%, we expect that to translate also into a reduction in the trade deficit, but much will depend on the availability of foreign currency which availability in terms of exports, like this year we expect exports and remittances to be at around $7 billion," he said. Gwanyanya said the country had already recorded $6 billion in terms of forex income, including remittances, so far and was expecting to close the year at $7 billion, meaning that there "is good performance on the export sector and on the remittances and so we expect more foreign currency to flow into the country". "If more foreign currency flows into the country against a backdrop for internal position, which is budget deficit, which is not well-managed, it is going into translate into a widening trade deficit," he said. "But we expect now that if the austerity measures are going to yield the results, we expect that to translate into a further reduction in the trade deficit which is already decreasing, but still remains high despite the decrease because we should always remember that we are in a dollarised economy, the ideal situation will be to maintain some measure of balance between the inflows and outflows so as to reduce dependence on borrowing." The deficit is, however, expected to widen in 2018 as the country absorbs more imports, particularly raw materials that are needed as feedstock for the expanding economy and equipment to improve on competitiveness, according to the central bank's latest Monetary Policy Statement. Economic commentator Reginald Shoko weighed in, saying the country would experience a trade deficit for the coming years due to number of issues ranging from the production capacity, uncompetitive products emanating from high costs of production which is related to the prevailing monetary crisis around the exchange rate between the greenback and the bond. Shoko said the situation "will only improve when our industry starts ticking. As for now, we shall continue as net importer even of products we have a comparative advantage (to manufacture)". "We also need to urge the local consumer to support local industry by buying local this will reduce the deficit but not real significant but it's a starting point. At this point, internal evaluation is no longer an option but a must in order to solve trade imbalances," he said. Going forward, it will be critical for government to address the current account deficit by supporting export oriented production like horticulture; strategically manage available foreign currency by prioritising import substitution production for instance retooling and raw materials. Authorities also need to take decisive action on the revival of strategic State-owned enterprises such as ZiscoSteel and Cold Storage Commission, which will improve manufacturing capacity to boost exports while limiting on import demand.